Welcome to the E4's campsite. 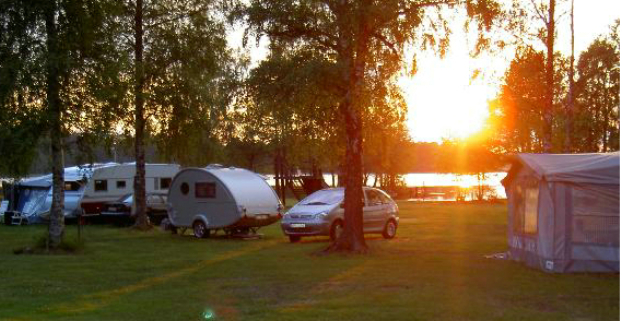 A small family campsite in beautiful natural surroundings by Vidöstern lake. Fishing and water sports available, and beautiful forest walks. The campsite has 65 pitches, 50 of which have electricity. We sell fishing licences for Vidöstern and Flåren lakes. We also have rowing boats for hire. You can try fishing for perch, pike, pike-perch and whitefish. Or you can play tennis or volleyball. And if you want some real peace and quiet, you can go for a wonderful walk in the forest.